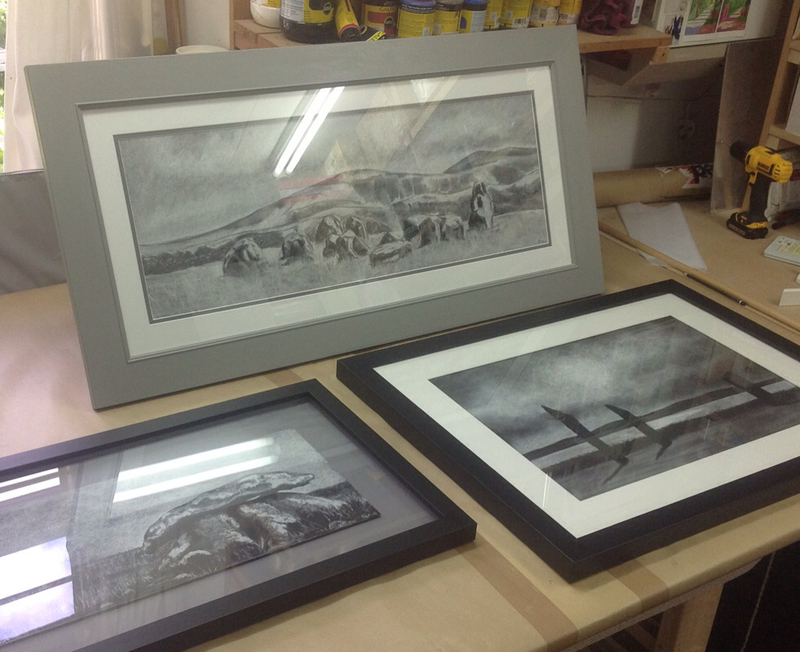 Here we have a beautiful selection of pastel works by artist Rachel Woodruff. We've framed each one in a different style so Rachel can test out various options with some of the galleries she's working with. At the top we have a hand painted frame with double mount, on the right a chunky black frame with single mount and for the piece of the left, we've used a slightly smaller black moulding and floated the artwork over a grey mount.